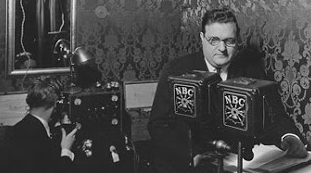 ➦In 1906...a man who was instrumental in bringing The Lone Ranger and The Green Hornet to the airwaves, James Jewell was born. He was a busy actor, producer and director at radio station WXYZ, Detroit, where owner George W. Trendle opted to drop his network affiliation and create his own programming. Jewell was made Director of Drama, and was part of the station staff that worked out the original concepts for The Lone Ranger. He’s also credited with selecting The William Tell Overture as the theme. “Ke-mo sah-bee“, Tonto’s greeting to the masked Ranger, was derived from the name of a boys’ camp owned by Jewell’s father-in-law. When he departed for Chicago in 1938 he became director of another classic kid’s radio serial, Jack Armstrong the All American Boy. ➦1938…Bob Hope's first feature film, "The Big Broadcast of 1938," co-starring W.C. Fields, Martha Raye and Dorothy Lamour, opened in theaters and introduced Hope's signature song, "Thanks For The Memory." ➦In 1940... NBC radio presented “The Chamber Music Society of Lower Basin Street” for the first time. The famous Blue network series included several distinguished alumni — among them, Dinah Shore and Zero Mostel. The chairman, or host, of “The Chamber Music Society of Lower Basin Street” was Milton Cross. ➦In 1949...the private-eye radio drama Yours Truly, Johnny Dollar debuted on CBS Radio, with Charles Russell in the title role. It amazingly survived five changes in the lead actor during its 13 year run. 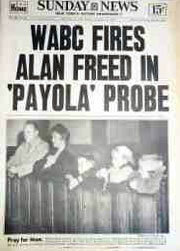 ➥In 19609...The Payola scandal reaches a new level of public prominence and legal gravity, when President Eisenhower called it an issue of public morality and the FCC proposed a new law making involvement in Payola a criminal act. ➦In 1964...At the Colosseum in Washington, DC, the Beatles played their first U.S. concert. They sang "Roll Over Beethoven," "From Me to You," "I Saw Her Standing There," "This Boy," "All My Loving," "I Wanna Be Your Man," "Please Please Me," "Till There Was You," "She Loves You," "I Want to Hold Your Hand," "Twist and Shout," and "Long Tall Sally." 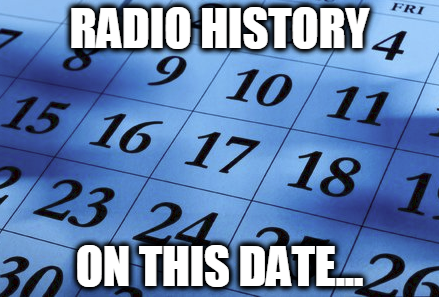 ➦In 1993...the Howard Stern Radio Show began airing on on WRQI-FM in Rochester, New York. ➦In 1994…Actor William Conrad, who provided the voice of Matt Dillon in the radio version of "Gunsmoke," died of heart failure at 73. ➦In 2012…Whitney Houston died at the age of 48. Six weeks later, the Los Angeles Coroner's report indicated Houston drowned accidentally and autopsy results revealed heart disease and her recent and chronic cocaine use were contributing factors. It was unclear if she suffered a heart attack before drowning. ➦In 2013…Bassist/Rock and Roll Hall of Famer Rick Huxley, a founding member (1958-1970) of the Dave Clark Five, died after battling emphysema at the age of 72. ➦In 2013…Foreign correspondent Tom Aspell, a 28-year veteran of NBC News, died of lung cancer at age 62. ➦In 2015…Veteran CBS News correspondent (60 Minutes) Bob Simon died when the car in which he was a passenger was involved in an accident in New York City at age 73. In a statement posted on WEEI.com late Friday night, the station said Fauria’s comments were “an insensitive and ill-conceived attempted at humor” and that it did not “support or condone” his words. Earlier today I made a horrible attempt at humor. In a segment during the show, I impersonated agent Don Yee in an insensitive and regrettable way. I want to publicly apologize to Don and anyone in the audience who heard it. Earlier today during his show, Christian Fauria impersonated athlete agent, Don Yee in an insensitive and ill-conceived attempt at humor. 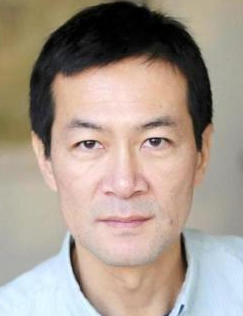 We regret Christian’s commentary and we apologize to Mr. Yee and those offended by the segment. Meanwhile, The Boston Herald released a statement Friday afternoon addressing Ron Borges' column from earlier in the day, which appeared in the Friday edition of the paper. "A column by Ron Borges in today’s Herald regarding Patriot Tom Brady’s salary discussions was based on information which proved to be false," it reads. "The Herald apologizes to Brady, his agent Don Yee and the Patriots, and to our readers for this erroneous report. Borges’ column has been suspended pending further review." Kirk & Callahan revealed Friday morning that a texter "Nick in Boston" was pretending to be Tom Brady's agent Don Yee when texting Borges. The texts informed Borges that Brady was intent on sitting out the Patriots' OTAs unless he was compensated like his former backup, Jimmy Garoppolo, who agreed to the largest deal in NFL history (5 years, $137.5 million) Thursday. State governments are becoming pivotal players in the battle over net neutrality. In recent weeks, legislatures from California to Massachusetts have introduced bills aimed at restoring the Federal Communications Commission's broadband rules, which banned Internet providers from arbitrarily speeding up or slowing down websites. The Washington Post reports the initiatives have put states on a collision course with the FCC. But now a new tactic gaining momentum among governors threatens to complicate the debate further. Their novel approach, analysts say, is largely untested in court — and it could drive the fight over the Internet's future into hazy legal territory. New Jersey Gov. Phil Murphy (D) this week became one of the latest to adopt the strategy, signing an executive order that effectively forces Internet service providers (ISPs) that do business with the state to abide by strong net neutrality rules. Rather than directly regulating the broadband industry, the executive order imposes procurement obligations on state agencies. Under the order, state officials contracting with ISPs for service may do so only if the providers agree not to block or slow websites, or to offer websites faster delivery to consumers in exchange for an extra fee. As a large consumer of Internet service, said Murphy, the state may be able to pressure ISPs into granting New Jersey residents the same equal-access protections afforded to the government. The decision comes weeks after Montana and New York officials signed virtually identical orders. The state of Hawaii this week also joined the group. The orders could contradict the FCC's new rules on net neutrality, which claim to “preempt any state or local requirements that are inconsistent” with the agency's deregulatory agenda. (The FCC declined to comment.) But whether a court will agree with the FCC's approach is unclear. The debate over net neutrality is headed into uncharted waters, analysts say. U.S. stocks closed their most turbulent week in years with a sharp swing higher, temporarily stemming the bleeding in the market but doing little to quell investors’ fears of a prolonged downturn ahead. The Wall Street Journal reports major U.S. indexes ended the week more than 5% lower, their worst loss in more than two years. Investors described the volatility as a shock after more than a year of tranquility in markets. The Dow Jones Industrial Average—which rallied 330 points, or 1.4% Friday—had swung at least 1,000 points in all but one day this week and changed direction a total of 53 times. After dropping more than 3% on Monday and Thursday, the Dow and S&P 500 entered correction territory—a fall of more than 10% from their highs two weeks ago. 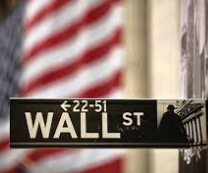 Dow Jones' U.S. Broadcasting & Entertainment index was down 6% to 1,269.53 and the Dow Jones U.S. Media Index was down 5.7% to 851.55, more or less following the Dow Jones Industrial index dipping down 5.2% to 24,190. For the week, Comcast Corp. lost 6.2% to $38.57; Walt Disney was down 5.2% to $103.09; CBS was off 4.8% to $52.76; Time Warner was down 4.5% to $92.40; and Discovery gave back 5% to $22.61. MediaPost reports 21st Century Fox did generally better than most -- off 2.7% to $35.73. Two major losers were traditional pay TV providers: Charter Communications, down 10% to $349.43 and Dish Network sinking 7.3% to $43.40. For the week, Viacom was the rare media stock to move higher -- 2% to $32.87 -- while AMC Networks barely moved, slipping 0.3% to $50.94. Scripps Networks Interactive sank 1.5% to $86.61. 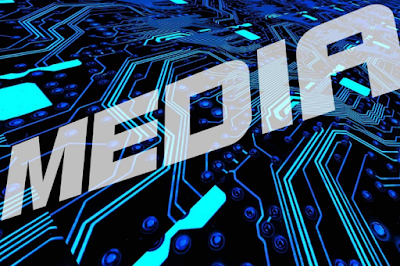 Major digital media/technology stocks were generally affected more than traditional media, with Facebook down 7.5% to $176.11, Amazon losing 6.3% to $1,339, Netflix off 6.7% to $249.47, and Google moving backwards 6.5% to $1,046. Big pure-play TV station groups performed generally better than traditional media and digital media stocks: Sinclair Broadcast Group was down 3.6% to $34.95; Tribune Media slipped 1.1% to $42.19; Tegna was off 4.8% to $13.34; and Nexstar Media Group dipped 4.8% to $71.05. 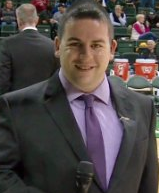 Alpha Media, Dayton, OH, has named Justin Kinner Program Director of Sports WING 1410 AM. 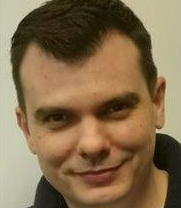 Justin was previously working as the afternoon drive host, and interim PD of WING-AM. 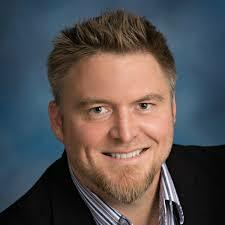 He also has experience as an account executive in the market. “I am thrilled to be named the new Program Director for 1410 WING-AM. I started with this station back in 2014 and to now have the opportunity to be the PD for the station that brought me into this business is a really cool thing and a great feeling,” remarked Justin. 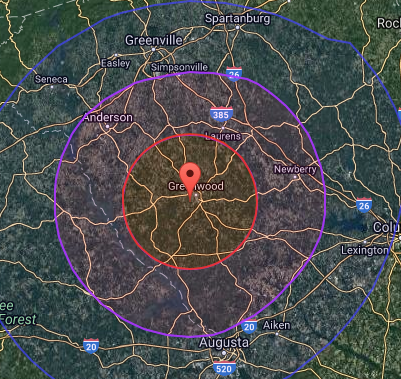 Broomfield Broadcasting, which owns A/C WZSN Sunny 103.5 FM and WCZZ AM 1090 in Greenwood, SC will be flipping WCZZ to sports talk in early March. 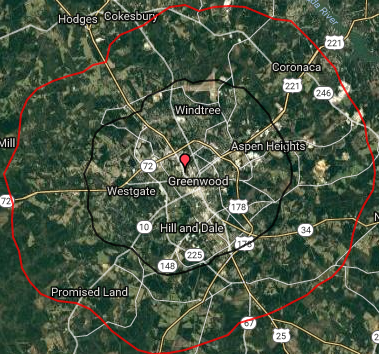 The Index-Journal reports the company has a new W274CC FM translator at 102.7, and that station and AM 1090 will broadcast local and national sports talk. The target date for the start is March 5. The AM station, currently known as Rejoice 1090, has been airing Gospel music for the past 11 years. 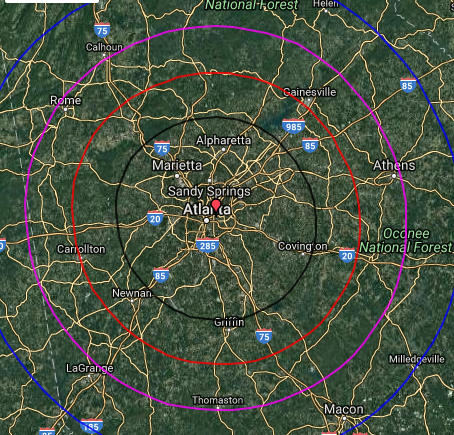 The 102.7 FM station will air Fox Sports talk radio 24 hours a day. The AM station will broadcast sports talk from sunrise to sunset. Fox Sports talk radio’s lineup includes popular shows featuring Dan Patrick, Colin Cowherd, Rich Eisen and others. In addition, program director Tom Karel is planning to have local sports talk from 3-5 p.m. during the week. Greenwood High School football will continue to be carried on Sunny 103.5 FM during the fall. 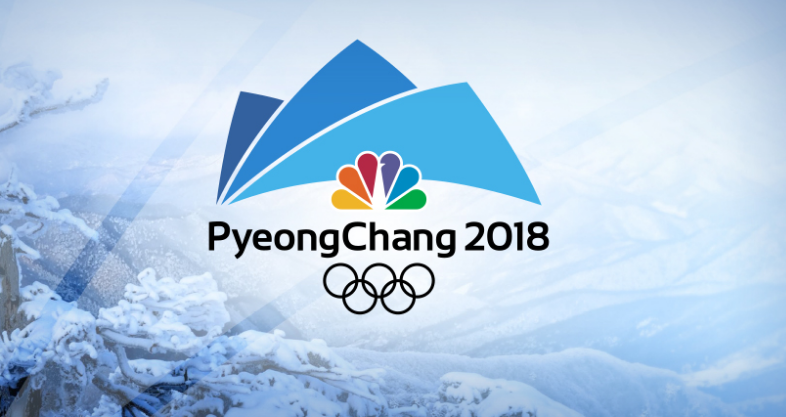 For the 2018 Olympic Winter Games in Pyeongchang, South Korea, NBC is making a big push with digital broadcasting, livestreaming 1,800 hours of coverage — what the network called a record for a Winter Olympics. But more than three-quarters of likely U.S. viewers say they plan to watch the games through traditional television broadcasts. In a Morning Consult poll, conducted among 2,201 U.S. adults, 62 percent, or 1,354 people, said they were very or somewhat likely to watch the games. The margin of error for the overall poll is plus or minus 2 percentage points. 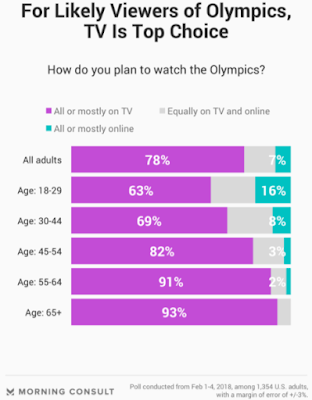 Of the 1,354 likely viewers, 78 percent said they plan to watch the games only or mostly on television, compared to 14 percent who said they will split their viewing equally between TV and online and 7 percent who said they will watch mostly or only online. The subsample has a margin of error of 3 percentage points. For all the radical change that’s going on regarding how people watch TV, there are still an “awful lot” of people who watch TV the old-fashioned way: on a television set, said Robert Thompson, professor of television and popular culture at the S.I. Newhouse School of Public Communications at Syracuse University. That number increases with a global event such as the Olympics. Livestreaming is a time commitment to a full event, while the TV broadcasts that NBC will air in the United States are “not quite highlight reels, but certainly compressed,” Thompson said. 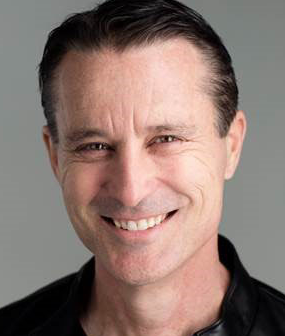 Branding expert Simon Mainwaring will headline a keynote session titled “The Future of Profit is Purpose” on the Main Stage of the 2018 NAB Show in Las Vegas on Monday, April 9. The session will focus on how companies can develop and implement purpose-driven strategy to optimize overall business results. ➦In 1925...WTIC-AM in Hartford, CT signed-on. WTIC AM dates back to 1925 when it came on the air with 500 watts of power from the 6th floor of the Travelers 26 Grove St bulding in Hartford where there were seven studios, most or all with control rooms. The station was licensed to the Travelers Insurance Company ("TIC") and had studios in downtown Hartford. The 1931 CT State Register shows WTIC, owned by Travelers Broadcasting Service, operating on 1060 Khz with 50,000 watts, the most powerful station in the state. The transmitter, referred to as "old number one" was the first 50,000 watt transmitter ever manufactured by RCA and has serial number 001. This RCA 50 transmitter was the first high power commercial transmitter to use 100-kilowatt tubes, the first to use mercury-vapor type rectifiers throughout, and the first capable of true 100 percent modulation of its full rated 50-kilowatt carrier output. 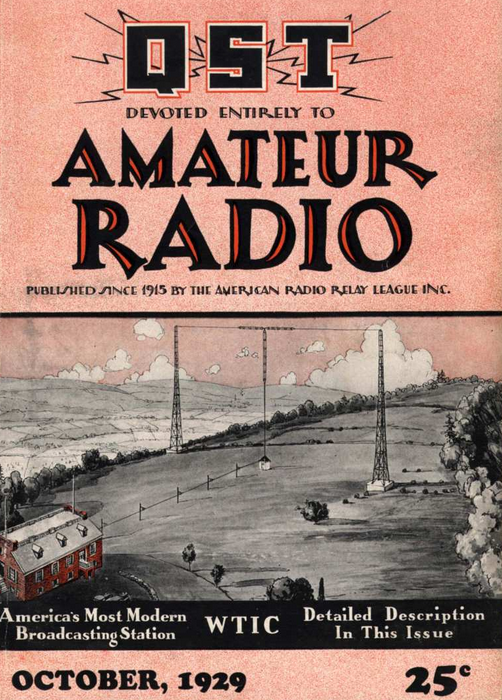 By 1941 they had changed frequency to 1080 khz. 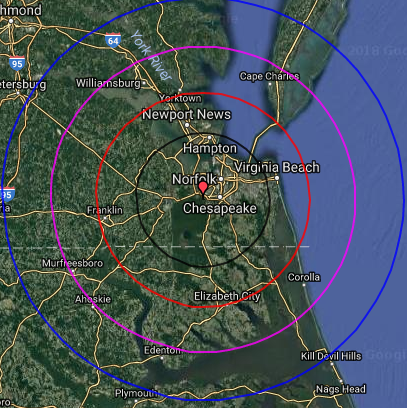 WTIC is now owned by CBS Radio. WTIC is known for its historic time tone, which is a broadcast of the Morse code letter "V" every hour on the hour since 1943. This makes it one of the oldest continuously broadcasting radio time tones in the world. WTIC employs a GPS master clock system that fires the custom-built time-tone generator shortly before the top of the hour, timed such that the final tone of the sequence occurs precisely on the hour (Even though everything else heard on the station is on a 10-second delay), and listeners have been setting their watches to WTIC for many years. The notes of the sequence were pitched to mimic the famous opening sequence of Beethoven's Fifth Symphony, whose "short-short-short-long" rhythm matches that of the Morse code letter "V". The Morse code letter "V" for Victory was selected during the height of WWII. WTIC's best-known personality was Bob Steele, who started with the station in 1936 and stayed with WTIC for his entire sixty-six year career, ending with his death on December 6, 2002 at the age of 91. 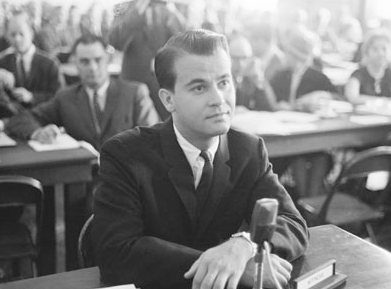 Steele continued to broadcast a 5:30 - 10:00 AM Monday-Saturday morning show for WTIC for fifty-five years, scaling back to Saturdays only after September 1991; by the time of his last broadcast in November 2002, he was only heard on the first Saturday morning of every month. Despite WTIC's various format changes over the years, Steele's show (which featured musical standards, farm news and prices early in the morning, novelty songs, silly jokes, horrible puns ("...and the weather for Mexico City is chili today, hot tamale") and a regular "Word of the Day" segment - even long after WTIC itself had abandoned music for a focus on news/talk remained unchanged throughout its run, making it perhaps the longest-running radio program in history to have never undergone a significant format change. ➦In 1959...Link Wray performed his controversial instrumental "Rumble" on ABC-TV's "American Bandstand." Many radio stations had refused to play the record only because of the danger implied in its title. ➦In 1960...country singer, Lionel Cartwright Ohio, was born. He was famous for the song "I Watched it on the Radio". 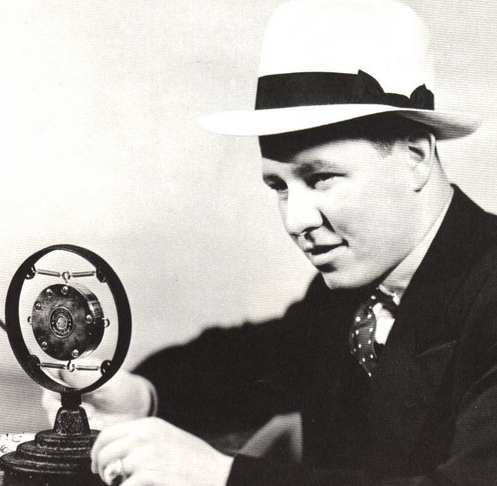 ➦In 1989…Hockey broadcaster Dan Kelly, best known for his radio play-by-play coverage of the St. Louis Blues for more than two decades, died of lung cancer at 52. ➦In 1996...“The New” WKTU officially debuts at 103.5 FM. After dropping its previous Country format, WYNY then began stunting on February 5 at 6am with a simulcast of WRCX/Chicago. On February 6, at 6 AM, the simulcasting switched to Mainstream Urban-formatted KKBT/Los Angeles. On February 7, at 6 AM, the simulcasting switched to Talk-formatted WLUP/Chicago. On February 8, at 6 AM, the simulcasting switched to AC-formatted KIOI/San Francisco. On February 9, from 6 AM to 6 PM, the simulcast switched to Alternative-leaning Top 40 WXKS-FM/Boston. At 6 PM, the simulcasting of sister stations ended. On February 10, the station changed its call letters back to WKTU and returned to a dance-based CHR format; WKTU's first song was "Gonna Make You Sweat" by C&C Music Factory. The station instantly skyrocketed to number one in the Arbitron ratings, although in the decade since, they have cooled down considerably. Drag performer RuPaul co-hosted mornings with Michelle Visage, Lisa Taylor and Freddie Colon around this period, further helping their ratings. Sean "Hollywood" Hamilton and Goumba Johnny followed in mornings from 1998-1999. By 2002, the moderate amount of rap played on the station was gone and the station evolved into more of a Hot Rhythmic AC. ➦In 2004...Rick Dees announced he was leaving the morning show at KIIS-FM, Los Angeles, after 22 years at its helm. (Video is from 2007.) Click Here for his final KIIS-0FM Show. ➦In 2015…"NBC Nightly News" managing editor and anchor Brian Williams was suspended by the network for six months without pay following an internal review of comments he made on the air about his experiences in the early days of the Iraq war. 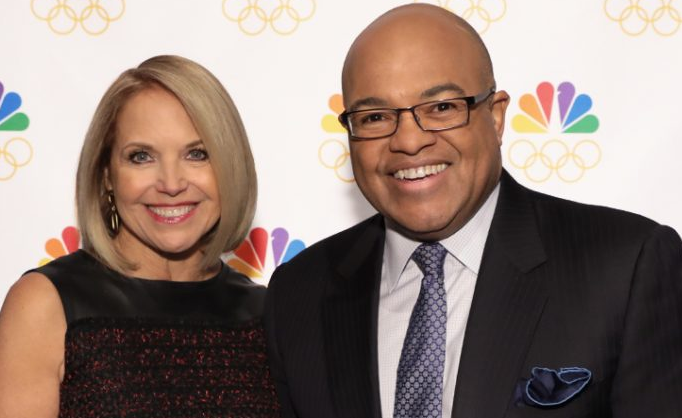 In June, NBC announced that Lester Holt would be the new anchor of "Nightly News" and Williams would transfer to the company's cable channel, MSNBC. According to a criminal docket filed in Philadelphia Municipal Court, Ritchie, 43, faces charges for DUI, simple assault and recklessly endangering another person. He was released without bail, and his next court date is scheduled for Mar. 14. According to philly.com, WIP referred all inquires to Entercom, the station’s parent company. So far, there has been no response to a request for comment. Ritchie wasn’t on air Friday during his WIP midday show, which he has co-hosted since Oct. 2017 alongside Joe DeCamara. Former Eagles offensive lineman Tra Thomas filled in for Ritchie on Friday. 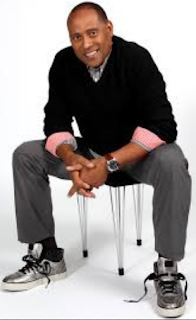 Entercom has announced the return of Frank Ski as morning host on WVEE 103.3 FM V-103, The People’s Station in Atlanta. Ski will re-join his former morning co-host Wanda Smith on the newly titled “Frank & Wanda in the Morning,” beginning Monday. Joe Taylor, known as “Miss Sophia,” will also return to the show with her signature “Girl Talk” segment and entertainment updates. The morning show will air weekdays from 6:00 a.m. to 10:00 a.m. The “Frank and Wanda Morning Show” aired on Atlanta’s V-103 from 1998 to 2012. During that time, it quickly rose to become a listener favorite due to its humorous take on news and lifestyle issues. As NBC Sports prepares to air the Winter Olympics opening ceremony tonight, it is hoping to avoid the backlash that plagued the Rio kickoff. This time around, NBC is reducing the ad load in its primetime coverage of the opening ceremony by 30 percent, while also livestreaming the event for the first time, 14 hours before its tape-delayed primetime coverage. Apple’s HomePod officially goes on sale today, but anyone expecting to walk into an Apple store and buy one may be out of luck. 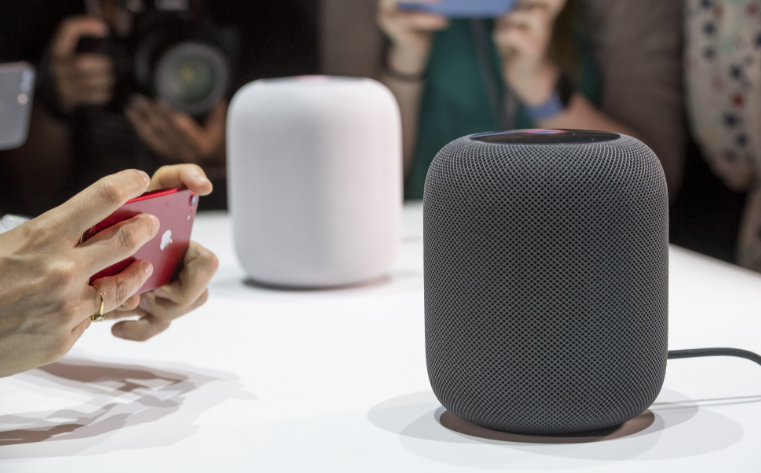 According to MediaPost, Apple’s site and Apple stores checked in multiple cities are currently sold out of the device, Apple’s relatively late entry into the smart speaker market. A HomePod ordered today won’t be delivered until Feb. 22 at the earliest, according to the Apple site, though those who preordered are expected to receive them earlier. Apple significantly trails Amazon’s Echo and Google’s Home lines of smart speakers entering the market, but Apple put a high emphasis on speaker sound quality. Sinclair Broadcast Group has extended the deadline for the U.S. Justice Department’s decision regarding its proposed $3.9 billion acquisition of Tribune Media. In an SEC filing, Sinclair and Tribune said that they had agreed to not consummate the merger before Jan. 30, 2018, but now that deadline has been moved to Feb. 11, 2018. Tribune and Sinclair also agreed to provide 10 days’ notice to the DOJ before closing the merger. According to FierceCable, the development comes after the FCC, which is also evaluating the deal, paused its review process last month. Sinclair’s bid for Tribune is reportedly on track for DOJ approval, but the company and the government agency are reportedly still discussing Sinclair divesting television stations in order to reduce its market control and national audience reach. 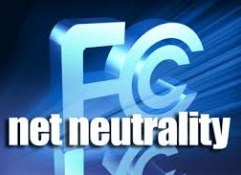 However, as Variety pointed out this week, recent FCC filings from Sinclair suggest the company may be seeking waivers in order to own multiple stations in top markets. Last month, Rebecca Hanson, senior vice president of strategy and policy for Sinclair, and Miles Mason, counsel to Sinclair, met with FCC staff to discuss protocol for obtaining a waiver. Among the changes the FCC made in November 2017 was the elimination of the Newspaper/Broadcast Cross-Ownership Rule, Radio/Television Cross-Ownership Rule, and Television Joint Sales Agreement Attribution Rule. Also, the FCC voted to get rid of the eight-voices rule, which bars an entity from owning two stations in one market unless eight independent broadcasters would remain. In the meantime, Sinclair is reportedly pursuing a deal to sell as many as 10 TV stations to Fox. Those tuning into Tacoma’s sports radio station on Thursday morning may have been surprised to hear talk about Donald Trump, immigration and the national budget. Sports programming on KHHO 850AM was replaced Thursday with a new format packed with syndicated programs such as Glenn Beck (6-9 a.m.), (Jack) Armstrong & (Joe) Getty (9 a.m.-noon) and The (Todd) Schnitt Show (Noon-3 p.m.). 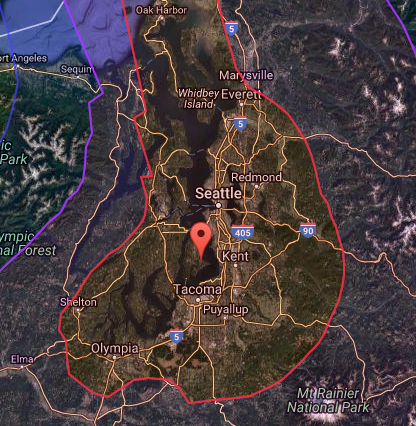 The station, owned by iHeartMedia Seattle, now bills itself as South Sound Talk 850 and Tacoma’s Voice. According to The News-Tribune, a twist of the dial, however, turns up much of the old sports programming. Also announced Wednesday was the launch of 1090 KJR on KFNQ, which features national sports coverage and syndicated programs such as Dan Patrick (6-9 a.m.), The Herd with Colin Cowherd (9 a.m.-noon) and Doug Gottlieb (noon-3 p.m.). The switch to 1090AM should give these programs a stronger signal in Seattle. The transmitter is located on Vashon Island. 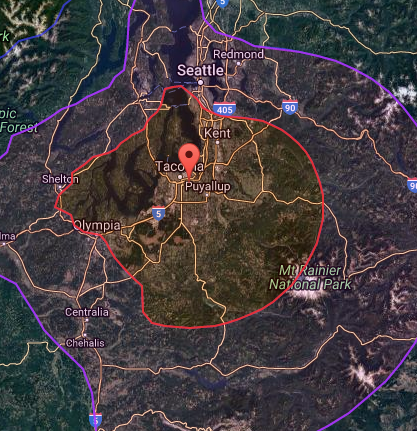 Broadcasts of Tacoma Rainiers games will remain on 850 AM, whose transmitter is in Tacoma. The channel will broadcast some late night sports programming. “With the re-launch of 1090 KJR and South Sound Talk 850, the KJR brand in Seattle just got even bigger,” said Rich Moore, senior vice president of programming for iHeartMedia Seattle, in a press release. 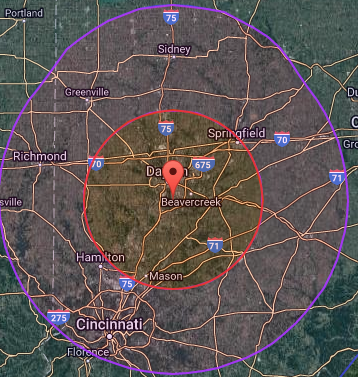 The company also owns 950 AM, a sports radio station. 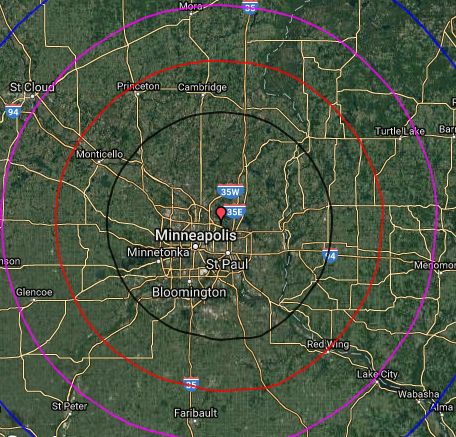 Sports talk radio is about to get a big shake-up in the Twin Cities. For the first time in a decade, a woman will lead a program on iHeartMedia's KFXN 100.3 FM. “Overtime with Carly Zucker,” will be a sports talk show about what players are like when they don't have their game faces on. “Hopefully, this show will give them an avenue to talk more in-depth about their passions, what makes them tick, the philanthropic work they’re doing in the community—because there are a lot of athletes here and people doing a lot of good,” said Zucker. Fox 9 caught up with Zucker at her home before “Overtime” debuted. She said she felt like something was missing on Twin Cities sports talk radio. She wanted a program going beyond the highlights. “People like to find out the personality behind the athlete,” she said. Zucker got her start in TV then made the switch over to radio where she could be more of herself. 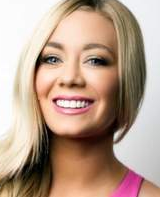 She's been part of KFAN’s "Power Trip" in the mornings for a while, but wanted to branch out on her own. However, that's not easy to do in such a male-dominated industry. In fact, there's a very short list of women hosting sports talk radio shows nationwide. “There needs to be more women—you can hear Lil B and some other people on the station, but I think this will be a really neat voice to have on KFAN,” said Zucker. She has already received criticism that she's only getting this platform because she's married to Minnesota Wild hockey star Jason Zucker. “That really shocked me because I started in this industry seven or eight years ago—I was working long before I met Jason,” she said. iHeartMedia has announced that Michael “DJ Fountz” Fournier has been named Program Director for WOWI 103 JAMZ, Norfolk’s No. 1 for Hip-Hop and R&B, and WHBT 92.1 The Beat, Hampton Roads Throwback Hip-Hop And R&B! As Program Director, Fournier will be responsible for the day-to-day operations of the stations’ music programming and for both stations’ imaging and branding. He will also serve as midday on-air host for 103 JAMZ. 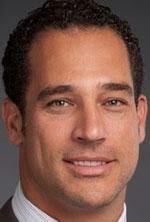 Fournier will report to Tias Schuster, Senior Vice President of Programming for iHeartMedia Norfolk. Fournier rejoins iHeartMedia Norfolk, where he most recently served as the Assistant Program Director for 103 JAMZ. 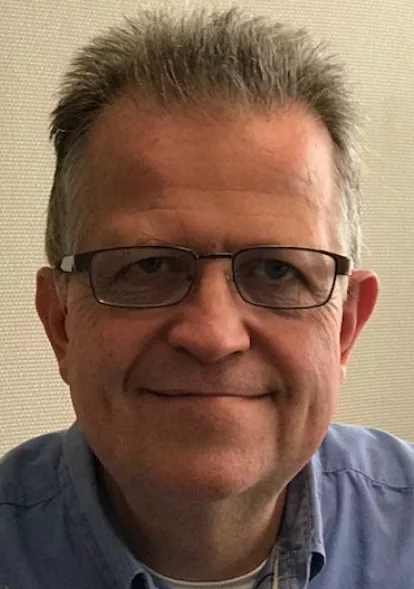 He began his radio career at the station over eighteen years ago as an intern working his way all the way up to Assistant Program Director for the station. During his time at iHeartMedia Norfolk, he also helped launch 92.1 The Beat in 2015. 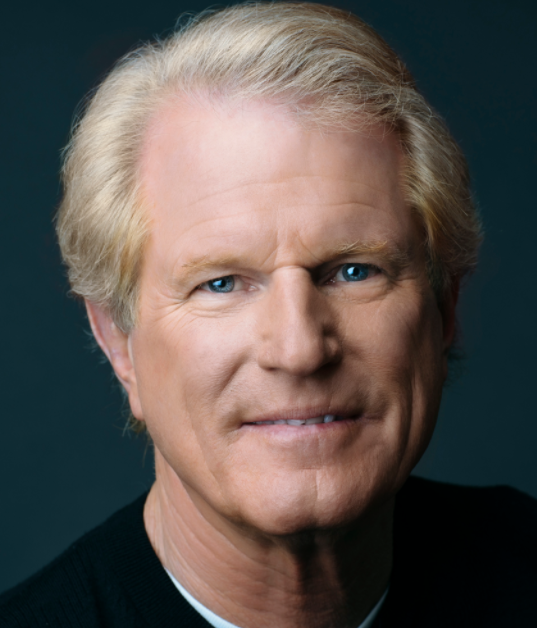 Talk show host Jerry Bader was let go by Midwest Communications on Thursday. Bader said in a email it was because of his coverage of President Donald Trump, reports The Press-Gazette. Bader's show was broadcast on WTAQ 1360 AM / 97.5 FM in Green Bay. The station also carries conservative hosts Rush Limbaugh, Mark Levin and Sean Hannity, none of whom are as critical of Trump as Bader sometimes was. The New York Times Co pleased investors with market-beating profit and revenue as digital subscriptions surged, underscoring the turnaround in its fortunes that had wavered as fewer people bought newspapers, reports Reuters. Chief Executive Mark Thompson told Reuters that the newspaper will also benefit from Facebook Inc’s initiative to prioritize high-quality news outlets in its social media posts to counter fake news and sensationalism. In a separate announcement, on Wednesday, The Times said it had reached a multiyear agreement to print and distribute Newsday’s products out of the company’s plant in Queens. News Corp. beat expectations in its second-quarter earnings report Thursday. Shares of News Corp. recovered nearly 1 percent in after-hours trading, following a decline of more than 2 percent in the intraday session. Founded by global media magnate Rubert Murdoch, News Corp. commands a host of major media assets, including HarperCollins, the New York Post and financial mega-publisher Dow Jones, which owns The Wall Street Journal. Digital revenues at Murdoch's flagship newspaper continued to rise in the second quarter, signaling a continued shift away from print publication. Digital subscribers, the company said, now account for 60 percent of Wall Street Journal's base. The company's overall digital segment grew to 29 percent of all segment revenues in the quarter, up from 26 percent in the prior year. The Journal's daily digital subscriber base rose 28.6 percent year over year, hitting 1,389,000. In a Thursday earnings call, CEO Robert Thomson lamented the "dysfunctional, and sometimes dystopian" digital media environment into which News Corp. was being shoehorned. The company said print circulation had declined in the quarter, and attributed a 6 percent year-over-year decline in advertising revenue to "weakness in the print advertising market and the decision to cease The Wall Street Journal's international print editions in the second quarter of fiscal 2018." Still, News Corp., like other major media outlets, has felt a boost in overall subscribers during President Donald Trump's often tumultuous first year in the White House. Nielsen Holdings plc Thursday announced its fourth quarter and full year 2017 results. Revenues were $1,761 million for the fourth quarter of 2017, up 6.3%, or 4.2% on a constant currency basis, compared to the fourth quarter of 2016. Revenues were $6,572 million for the full year of 2017, up 4.2%, or 3.8% on a constant currency basis compared to 2016. “We executed well on our key initiatives in Watch and Buy while contending with rapidly changing markets in 2017. 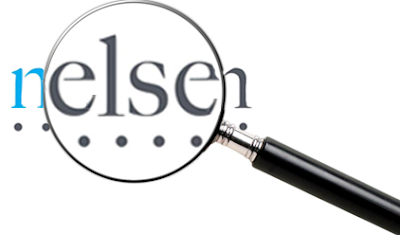 In 2018, we’ll continue to invest in innovation to drive growth and efficiency as we proceed on the path towards 2020,” said Mitch Barns, Chief Executive Officer of Nielsen.